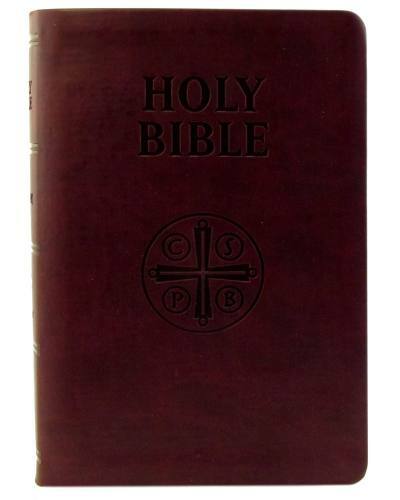 From Saint Benedict Press, publisher of many timeless Catholic classics and essential Catholic works, comes the Douay-Rheims Bible, the only Catholic translation of the Bible in English in use for over 200 years! Translated between the years 1582 and 1610 and revised by Bishop Richard Challoner, this is the most accurate English translation of the Bible available today. Translated with profound respect for every word, the beautiful style of the Douay-Rheims Bible will instill in the reader a deeper understanding of the Word of God. Annotations, references and an historical and chronological index make it convenient for study as well as meditation. Includes updated full color New Testament maps, beautiful pictures depicting the life of Christ. Complete with Family record and Presentation pages and elegant, readable typesetting (regular print), on quality Bible paper. Ultrasoft burgundy cover. Gold leaf page edges.